Here is what it looked like when I bought it at the thrift store; quite FUGLY! 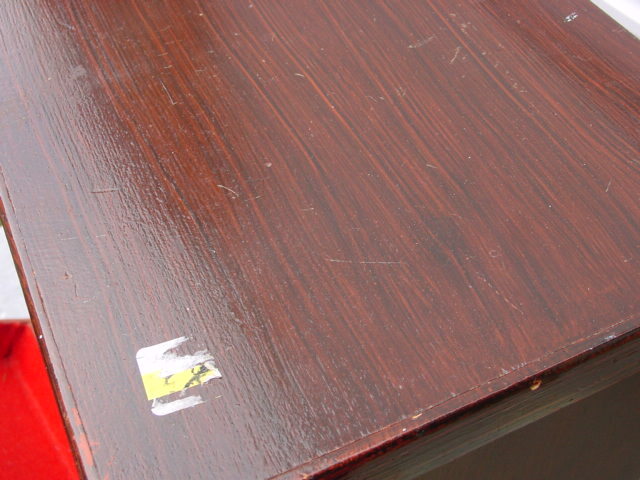 The OUTSIDES of any wood piece can usually, and easily be re-done. 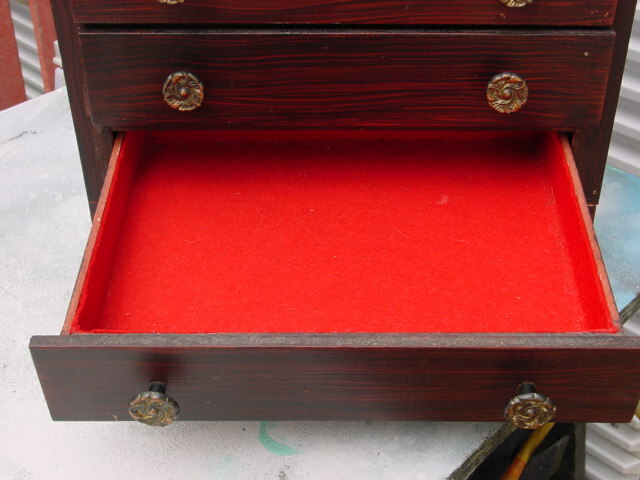 On jewelry boxes it’s the INSIDES that usually change my mind about buying them. Those darn fabric innards get so grubby and dirty! And I am not about to spend HOURS pulling out and then replacing all that fabric! 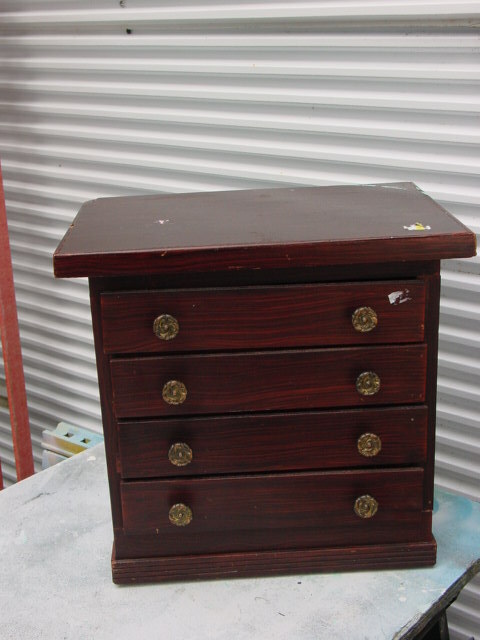 SO, if the INNARDS are in decent shape, I buy jewelry boxes/chests. I was so thrilled that the innards were clean that I forgot one of my own cardinal rules! 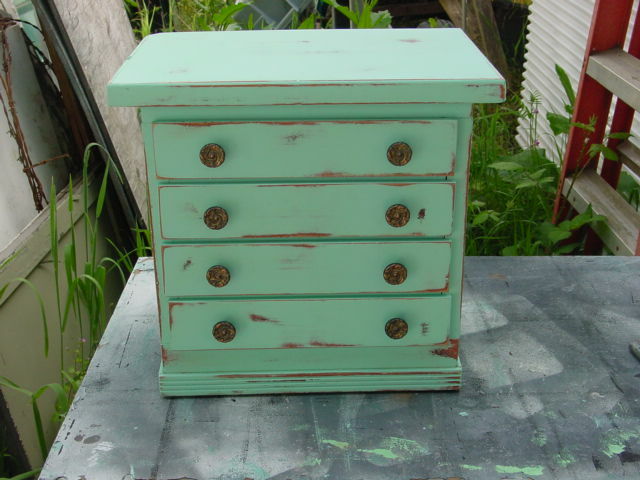 Be sure the knobs are REMOVABLE! 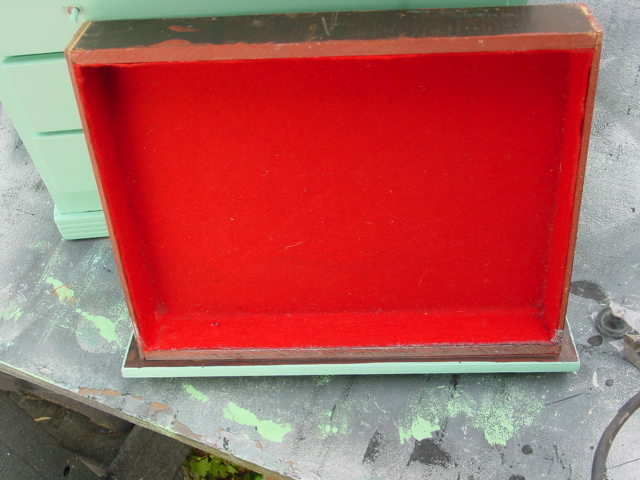 The felt liner had been glued in place AFTER the knobs had been screwed on. CURSES! This baby could very well be headed BACK to the thrift store! With Michael’s help, we were able to remove the KNOBS, but had to leave the screws in place, to paint AROUND. 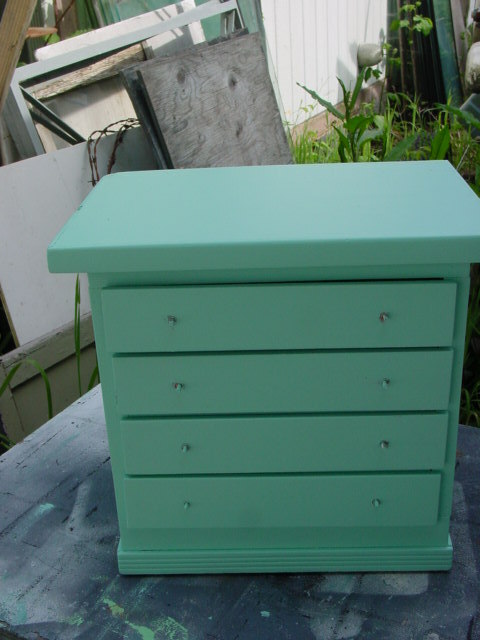 So, it took a little extra time to ‘work around’ the protruding screws on the drawers when I was painting and sanding; but it wasn’t TOO bad. 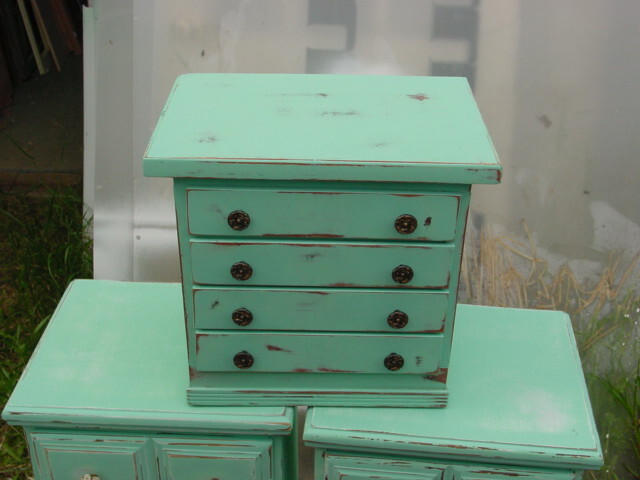 Mostly it just meant that I was STUCK re-using those same knobs and couldn’t change them to something I liked better. BUT, I could PAINT them if I had to! The knobs ended up working just fine, as is. 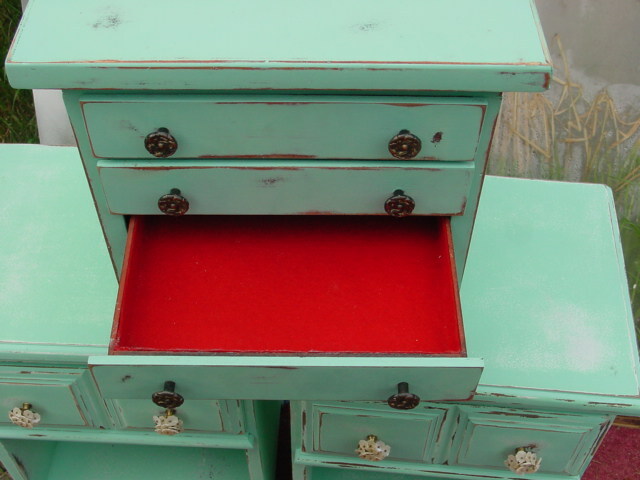 Red and turquoise are actually a pretty good color combination! This baby will be going to Stars in a week or so.